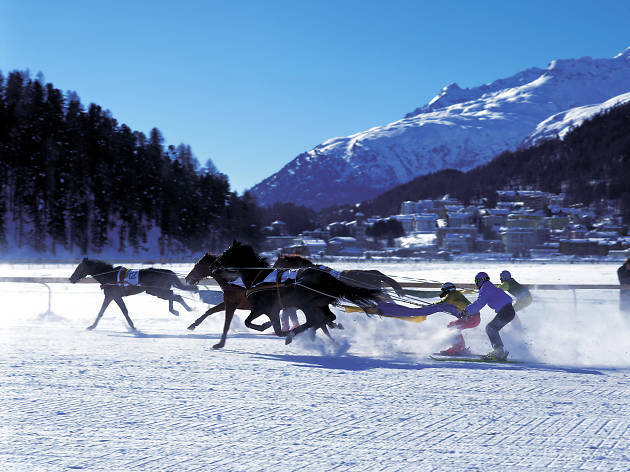 When it comes to describing the Swiss' determination to prepare for the worst case scenario, no idiom rings truer than: "In time of peace, prepare for war". 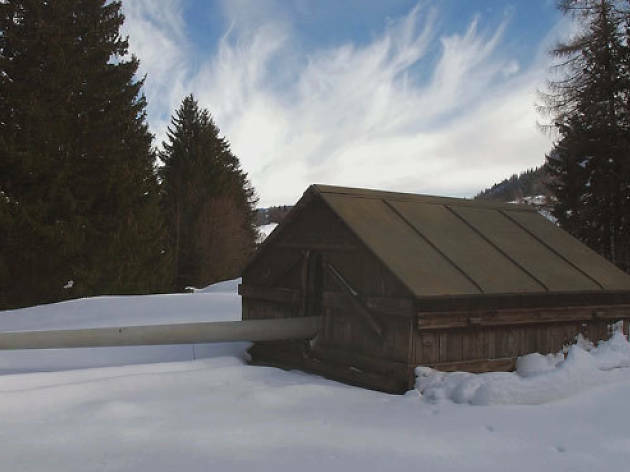 Of course, Switzerland hasn't been engaged in a military conflict for over 150 years, but hidden beneath the country's surface is a vast network of military bunkers and fallout shelters that exist to protect the Swiss people from potential onset of war and nuclear devastation. 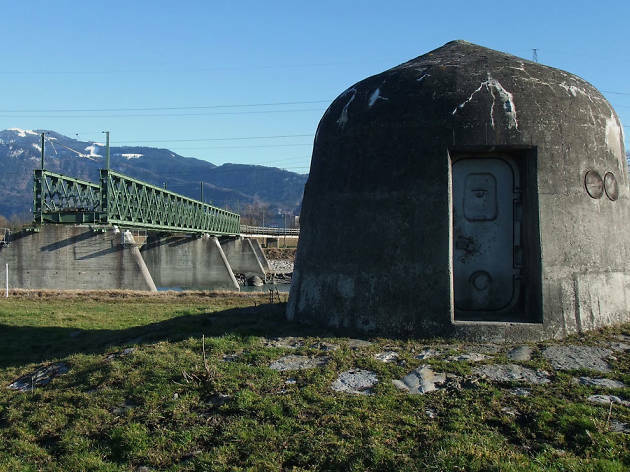 Although the exact number of military bunkers is not known, a common estimate is that there are around 20,000 bunkers dotted around Switzerland to thwart any oncoming army. 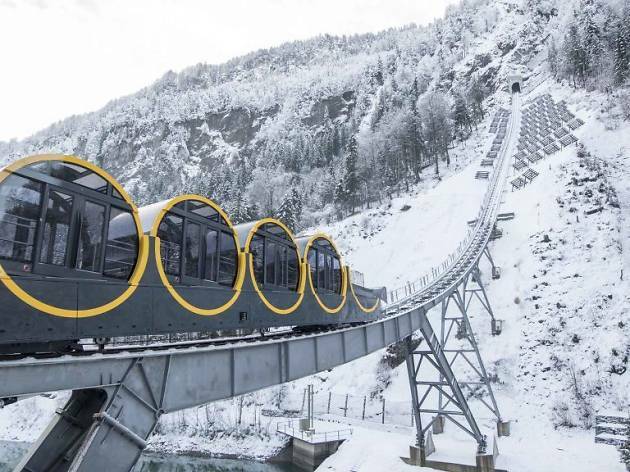 Add that to the near 310,000 private and public fallout shelters and you have a country that can potentially protect all of its 8 million citizens from nuclear war, making Switzerland the most prepared nation in world for this destructive scenario. 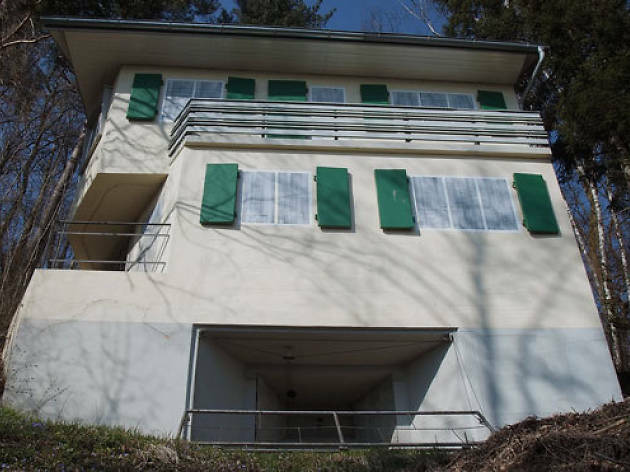 You think this is a house in the woods? Think again. 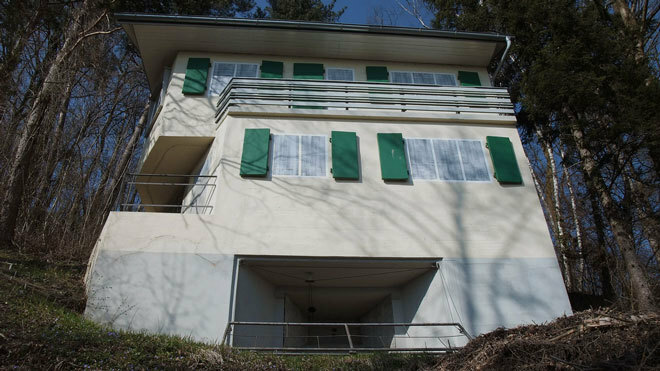 This is a military bunker camouflaged as a civilian house (yes, the windows are painted on). 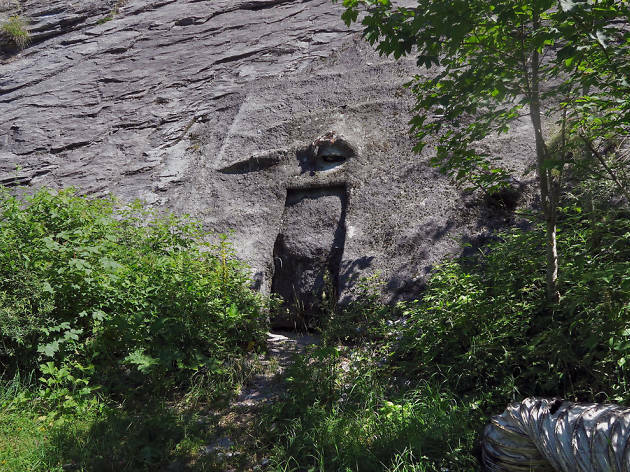 The bottom alcove is a machine gun turret, ready to mow down unsuspecting enemies. 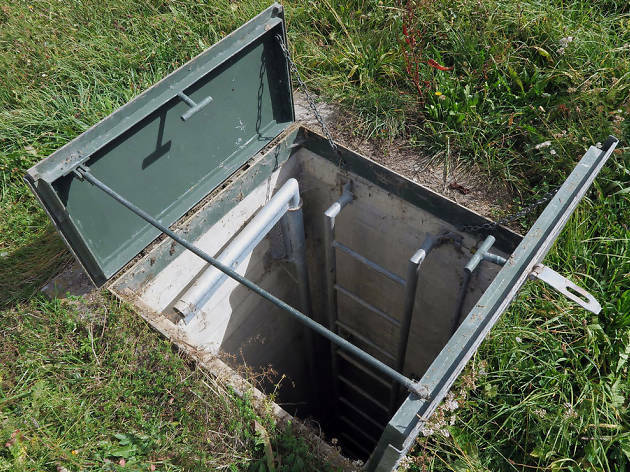 Nope, this is actually part of the underground military installation that was built in the mid-70s. 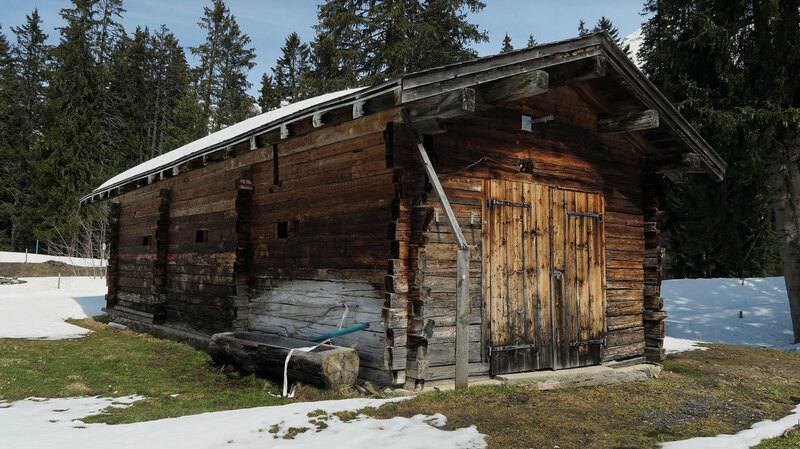 Well this cabin doesn't look too friendly? It shouldn't, as that protruding cylinder is actually the barrel of a 10.5cm calibre cannon. 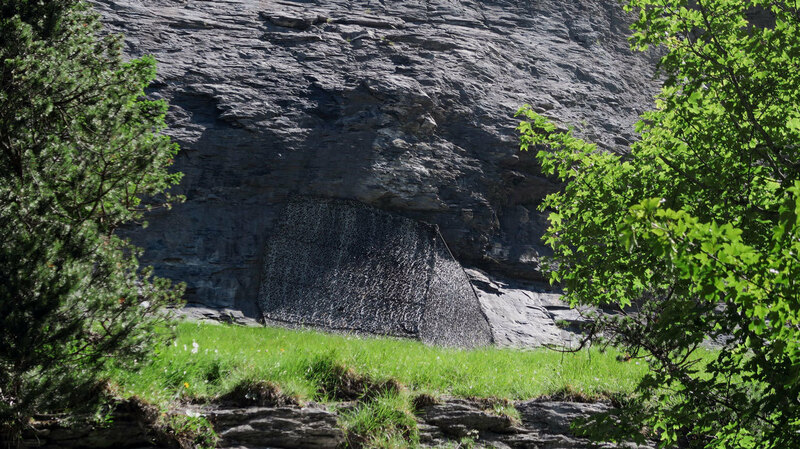 Behind the rickety wooden shell is an armoured dome of steel, where the gunners would sit. 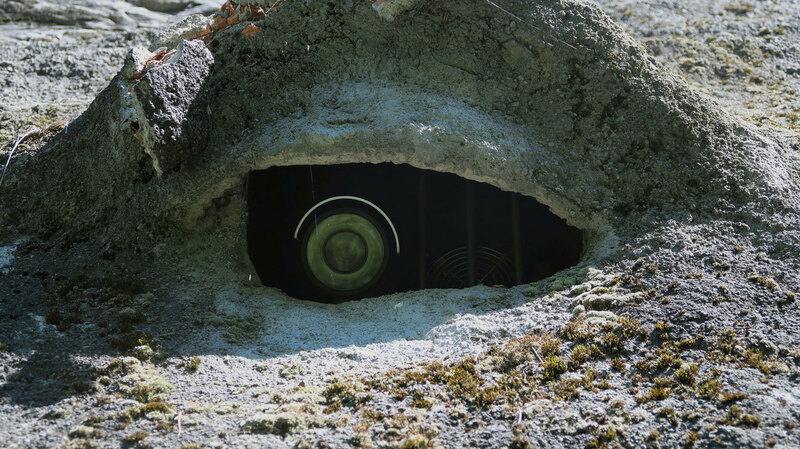 In more secretive days, the barrel would be camouflaged. 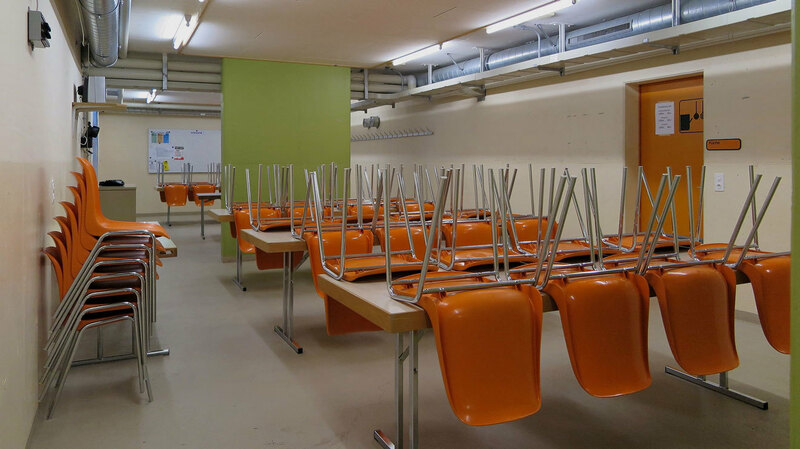 Switzerland's fear of nuclear war has lead the country to create hundreds of thousands of underground fallout shelters, with some located in the most open of spaces. 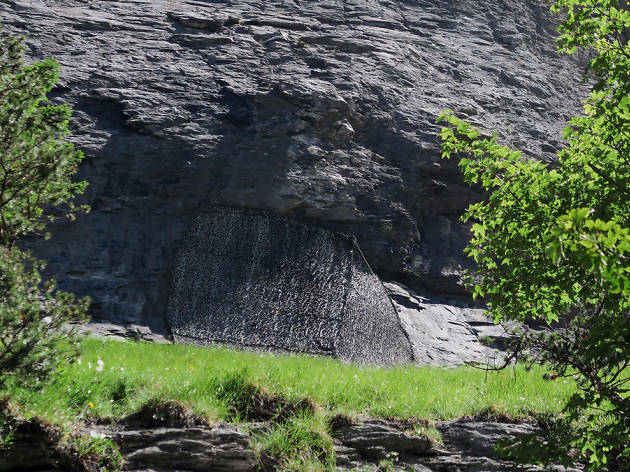 This particular hatch, camouflaged to blend in with the field, is a military shelter. 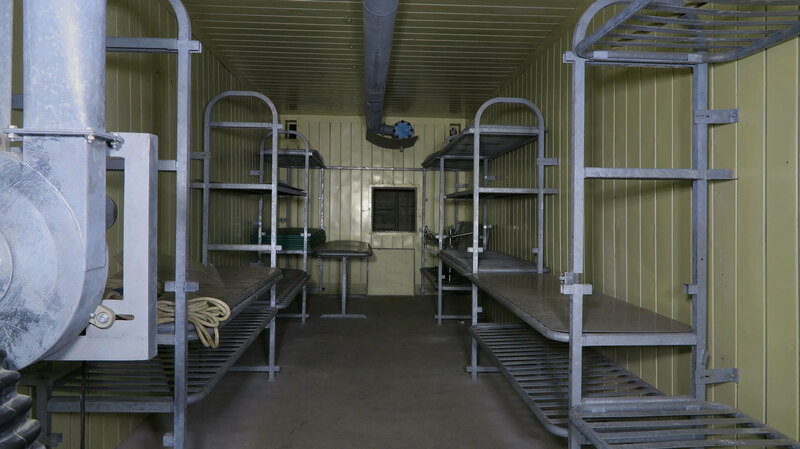 Inside the military shelters are rows of bunk beds and candles, needed to check how well ventilated the room is to avoid suffication. 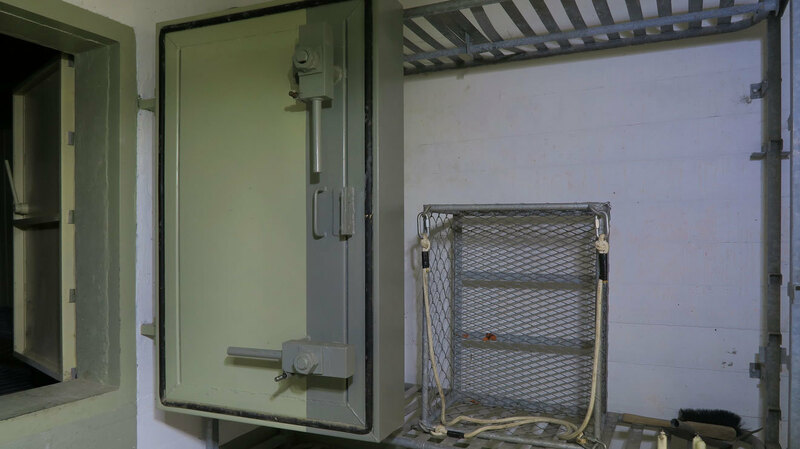 To keep out any pesky radiation, the rooms are protected by a pair of armoured gas-lock doors. 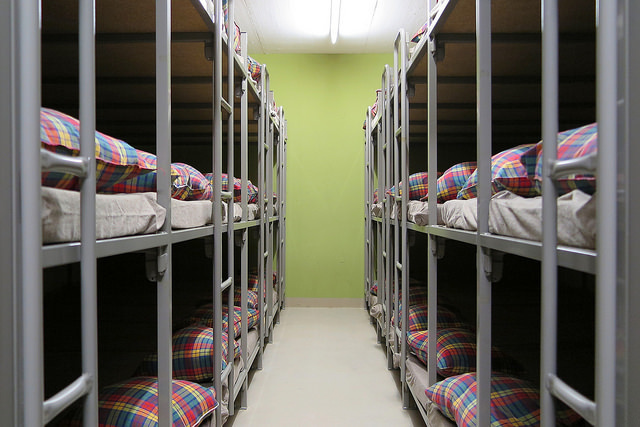 Who gets the top bunk? 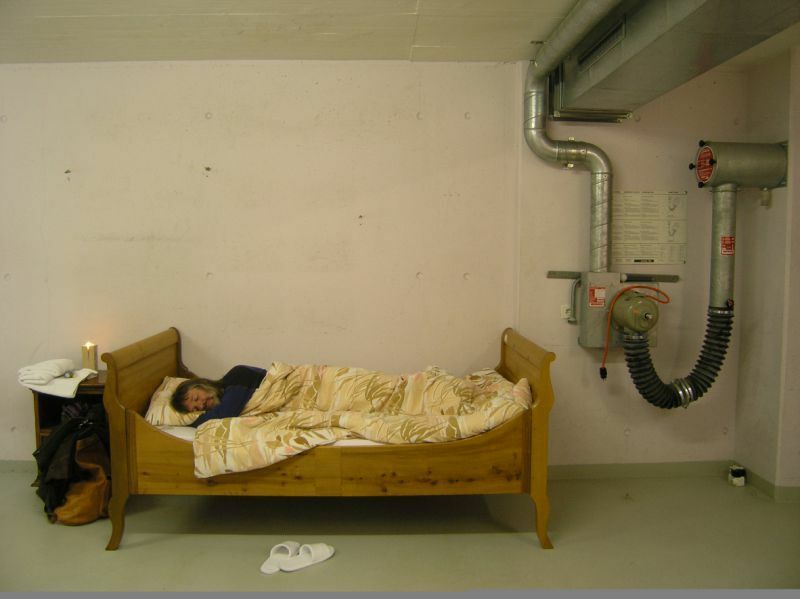 Although you would be safe from the dangers of the nuclear war, the prospect of living in such a bleak and cramped condition for many years was still daunting for many people. 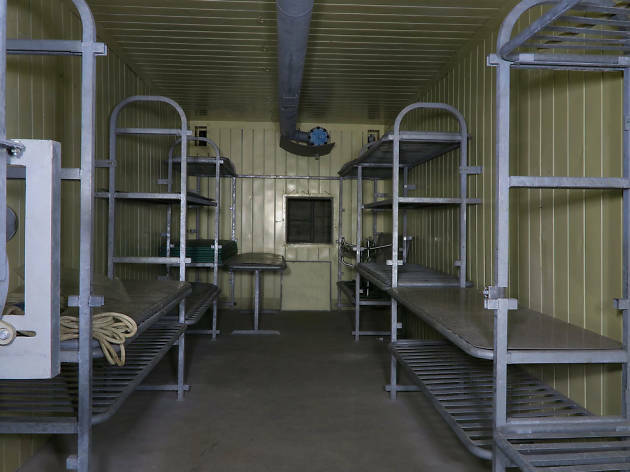 It's a different set up for civilian shelters, as nearly 400 people were expected to live in these underground communities should the worst happen. 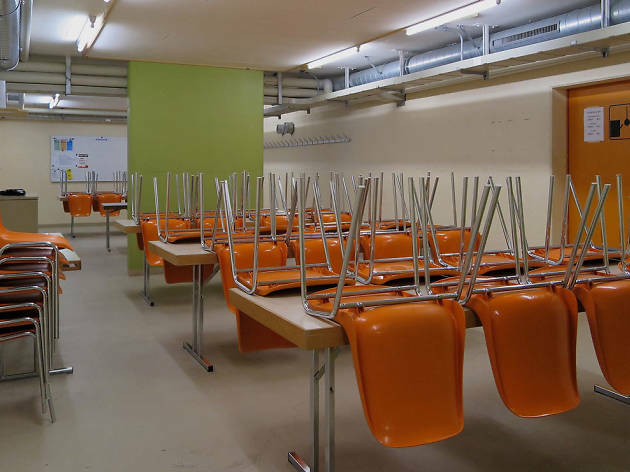 Built in 1983, this lounge and dining room area would have to feed the survivors for many years. 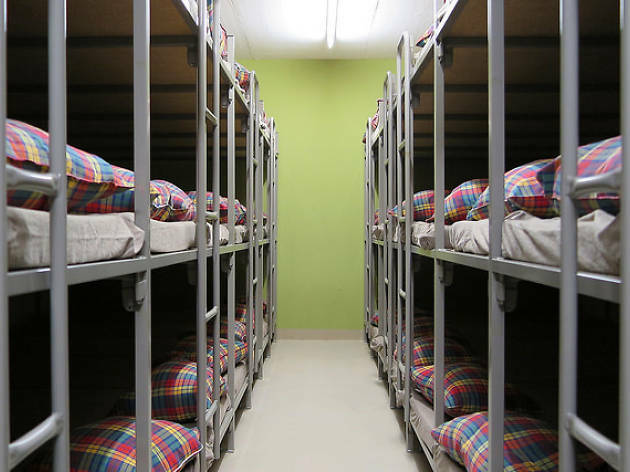 The dormitories for civilians do look a bit more inviting than the military's sleeping quarters. 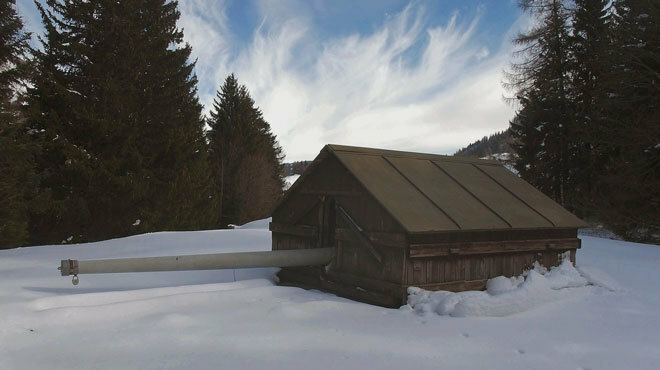 Switzerland's obsession with fallout shelters stems from the cold war and the looming threat of nuclear war. 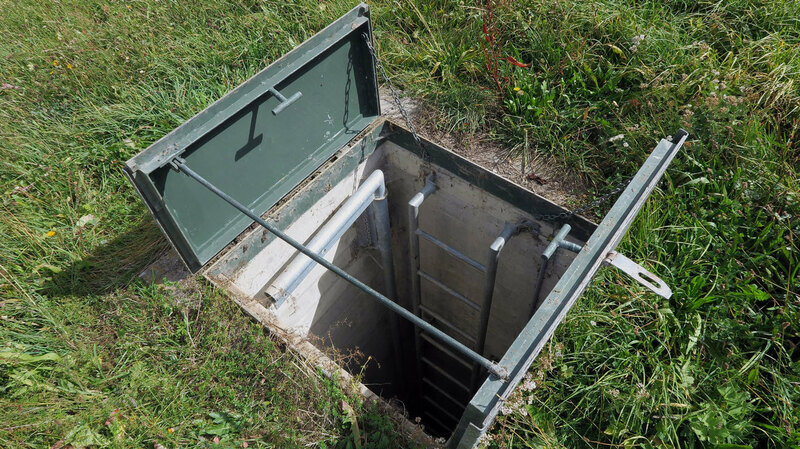 After the Cuban missile crisis, the country passed the first laws for the creation of fallout shelters in 1963. 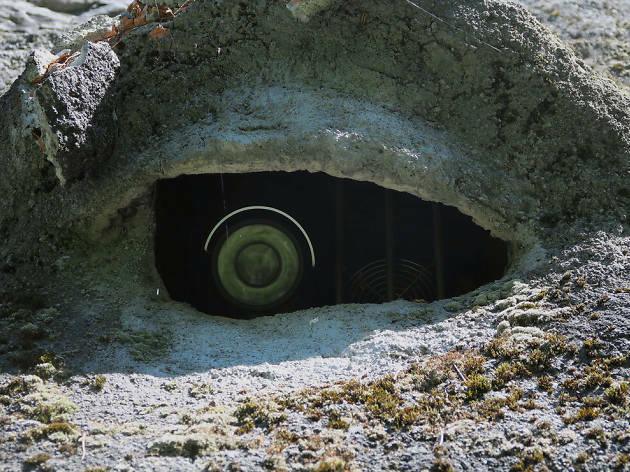 Yup, this is a surveillance camera styled into an eye that's above a military bunker entrance inside a mountain. 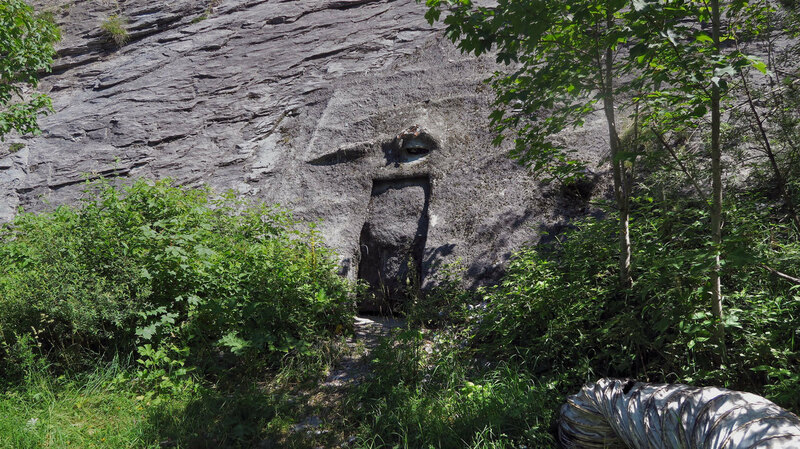 Secret door? 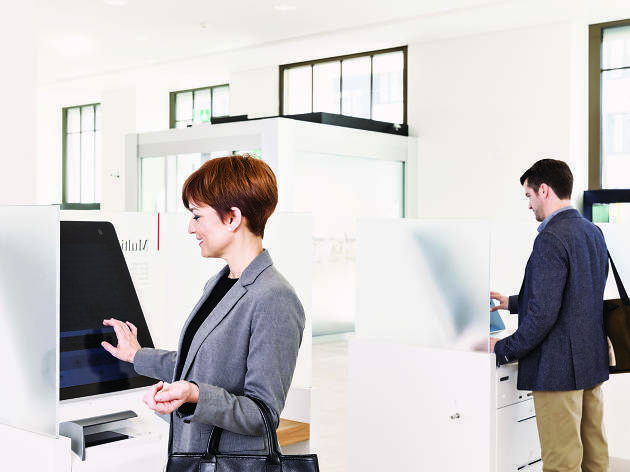 What secret door? 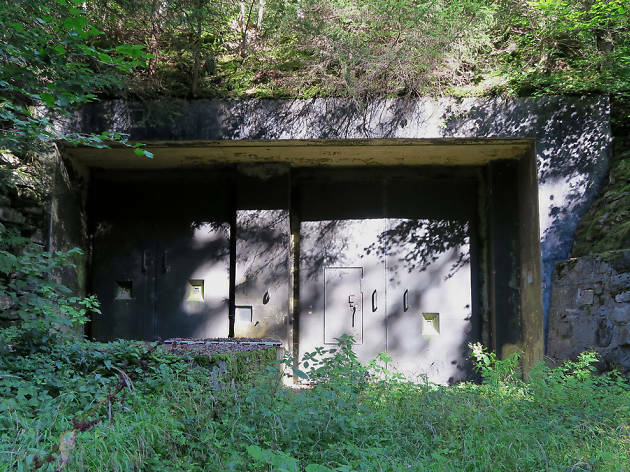 Camouflaged to blend in with its rocky setting, this is the door that leads to this secret bunker complex. 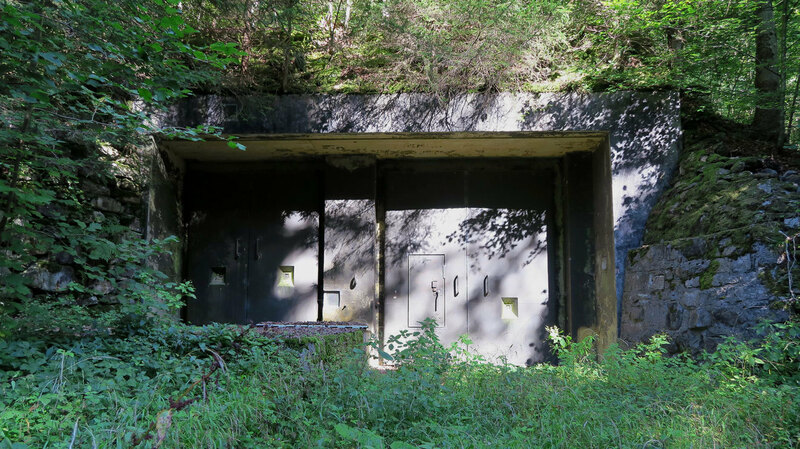 This may look like a giant "Thunderbirds" type camouflaged doorway, but this is actually part of the bunker's ventilation system. 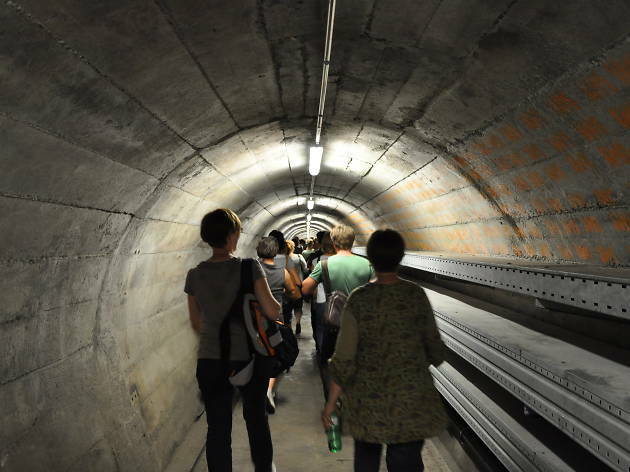 Although the size and extent of this bunker facility has not been revealed, many bunker tours still pass through here to marvel at Switzerland's feats of engineering and ingenuity. 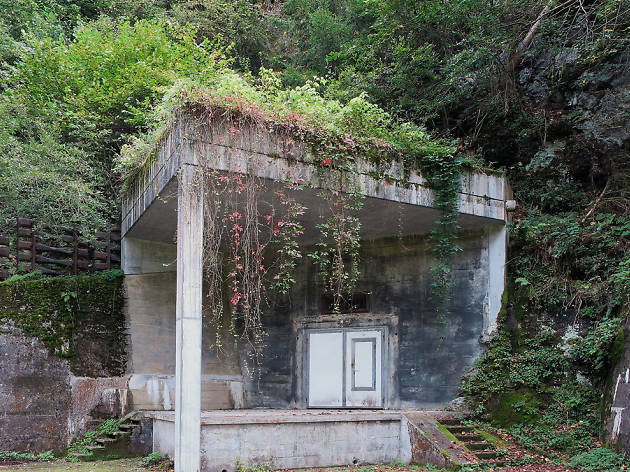 Surrounded with overgrown vegetation, this bunker is one of many that has been decomissioned by Switzerland after the Cold War ended. 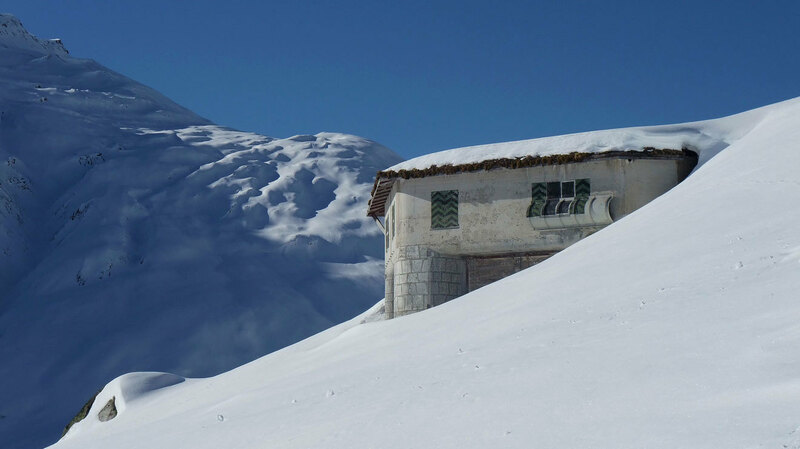 Sometimes the Swiss Army doesn't need to play hide and seek, so they use facilities like this. 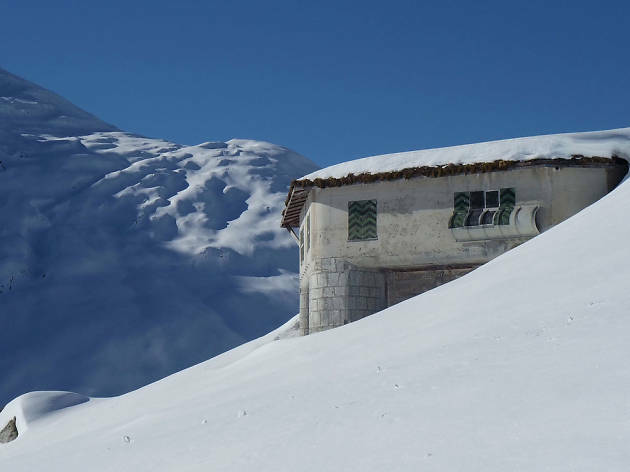 Although this bunker remains classified, it's perhaps best to assume that many of Switzerland's mountains have been hallowed out. 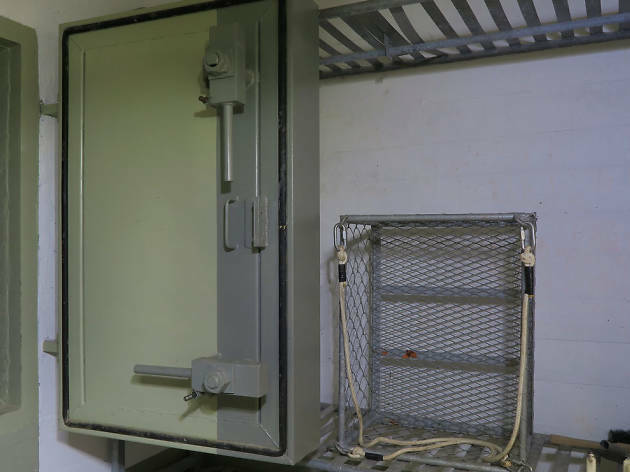 This WWII mini-bunker may look old, but there's a good chance that it could still probably save people if a third world war was to break out. 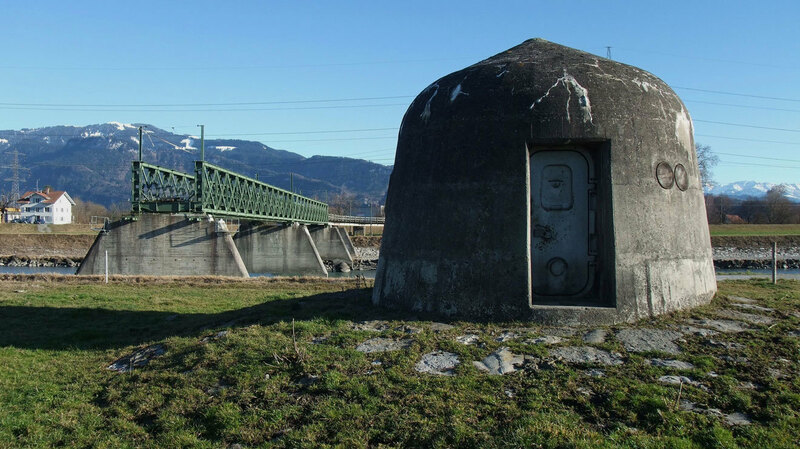 Built in 1937, these dome-shaped bunkers were constructed along the Rhine frontier to protect the Rhine crossings. 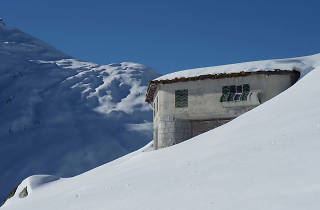 From deep below the mountain's belly to its highest summits, the Swiss are able to built fortifications at any altitude. 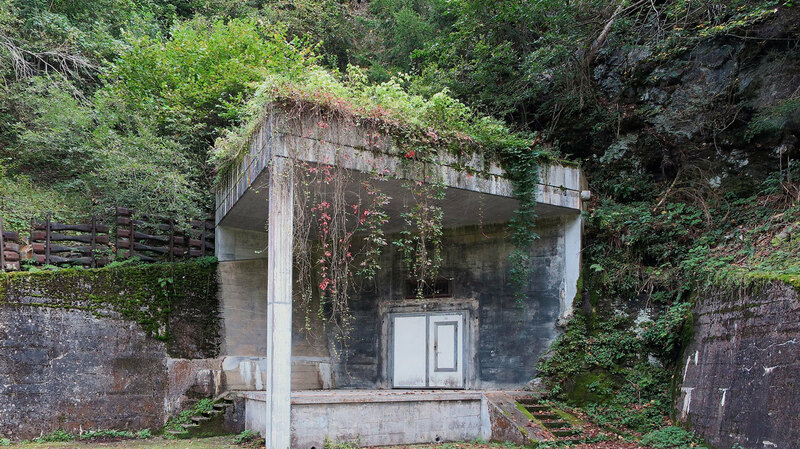 This structure is an a decommissioned artillery bunker at fort Fuchsegg. 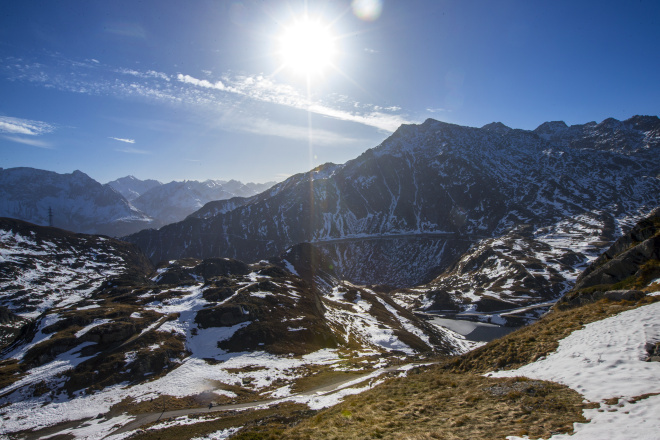 Perhaps Switzerland's greatest strength doesn't come from having a huge army or arms, but the psychological effect on any potential invaders to doubt every rock, cave or mountain top as positions for Swiss military. 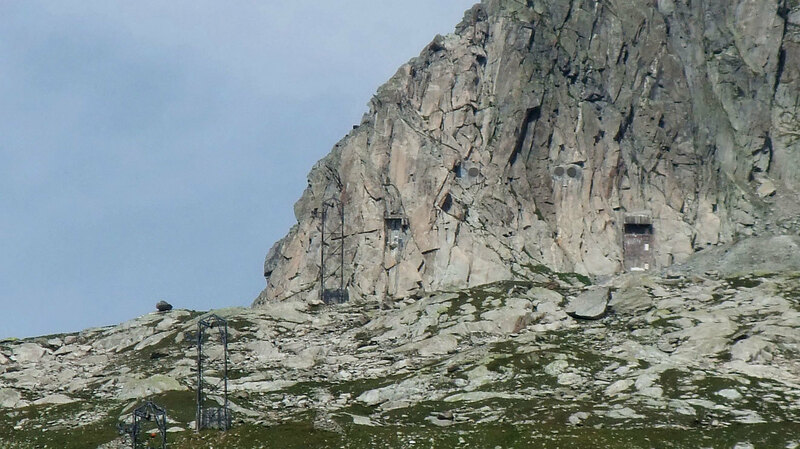 This entire mountain top is under the control of the Swiss army as a secret bunker complex, serviceable by cable cars. This giant bunker was built between 1970 and 1976 at a cost of 40 million Swiss francs. 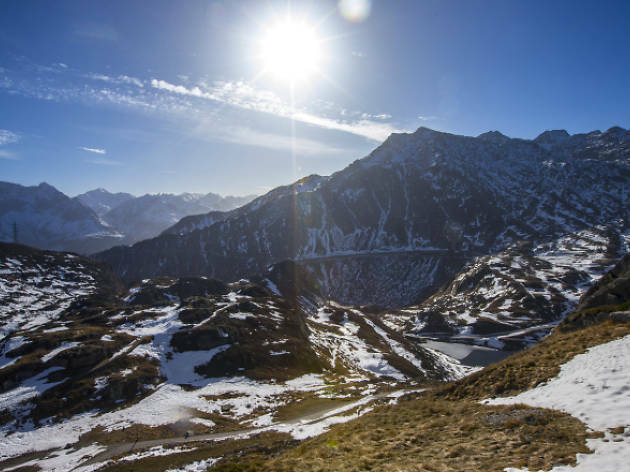 If it ever had been needed, two motorway tunnels would have been sealed by four 350-ton gates, with room enough for 20,000 beds and hundreds of toilet cabins - in fact one third of the population of Lucerne would have found shelter here inside Mount Sonnenberg. 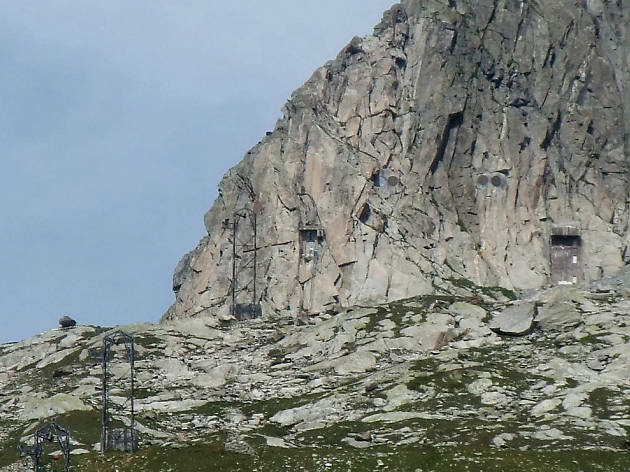 This strategic fort deep within the Gotthard massif was built to be completely hidden from view. 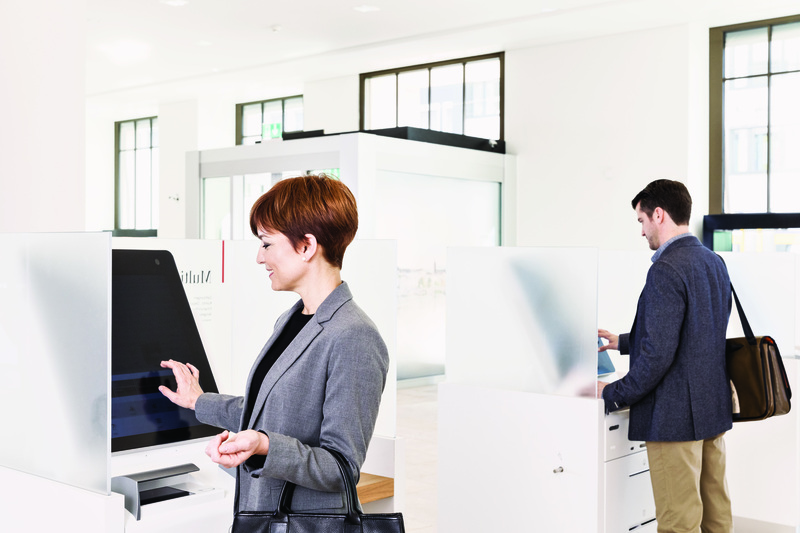 Now the once secret stronghold is open to the public as a museum which provides a close look at its historical past. 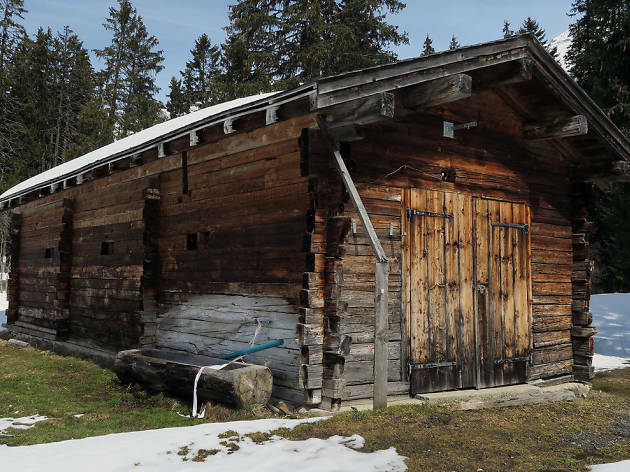 The Null Stern Hotel's mission statement should tell you everything you need to know about this hotel-turned-museum: "where the only star is you". Here's our guide to some of the coolest things to do and places to be this winter in Switzerland. 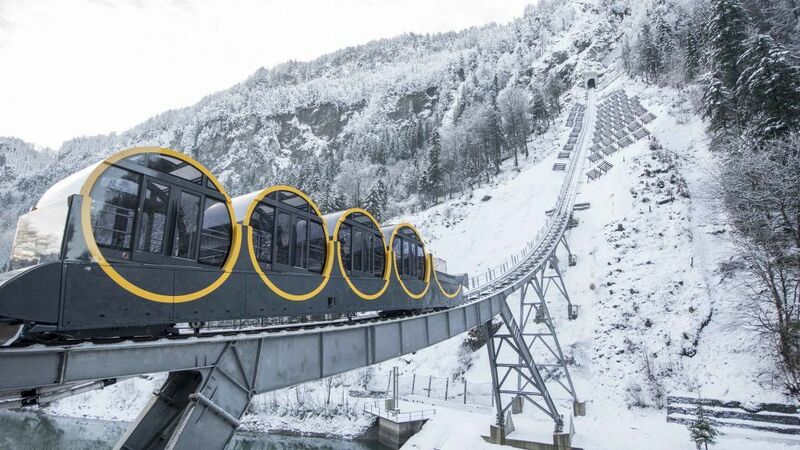 The world's steepest funicular railway' is located in the Alpine resort of Stoos.